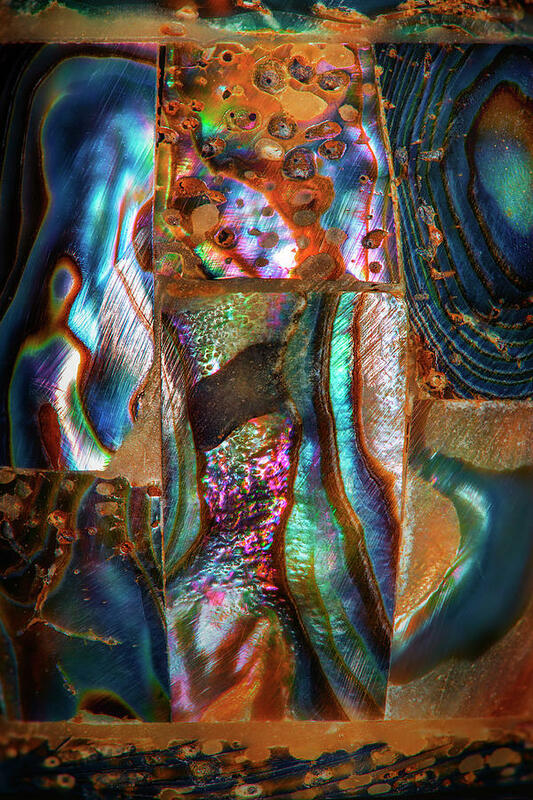 The cosmic backdrop currently in play is the ongoing series of Mars/Uranus squares. The first occurred on May 16th of this year. The second occurs today (Aug. 1st) and the last on September 18th. We’re in the midst of an ongoing process – a series of challenges that encourage a break from the past, something freer, and a revamp of what has provided a stable foundation up to this point. Mars is currently retrograde at 2 degrees of Aquarius. We may be rethinking the necessity of conforming and being confined. We maybe re-assessing the courage it will take to follow our own (our soul’s) path. Old commitments may need to be undone or updated. What we thought we wanted may be reversed, evolve into something more truthful, or otherwise expand in some way. Uranus is moving direct at 2 degrees of Taurus. Taurus is foundational. We may need to construct a more progressive type of foundation that can support our vision and our most satisfying life direction. We may need to move. There is a clash whenever Mars and Uranus form a 90 angle to one another. It can be explosive if we push for change, more independence, and something considered outside the realm of “normal.” But the aspect demands a move into the future despite ongoing (inner) resistance. Expect more delays until September 18th. At that time the last of the Mars/Uranus squares is in play. The process is entering a completion phase. With our cooperation the coast has been cleared for a breakthrough and a new beginning. Mars will be moving in direct motion by then and will kick into higher gear with the final jolt from Uranus. 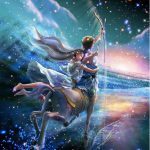 Vesta, the asteroid of devotion, passion, and keeping the “inner fire” stoked and alive, turns direct today in the sign of Sagittarius. Yo may be faced with a truth you have to find a way to integrate or accept without slipping into a detached or passionless state. Staying alive is the issue. Clarifying where your passion lies how the beliefs you hold may dilute or extinguish it is critical. This may be a pivotal turning point with regard to how you manage your life direction and where you go from here. You’ve been reviewing and assessing what you’re passionately devoted to and how circumstances or your perspective may need to be adjusted since May 6th of this year. You’ve turned a corner. 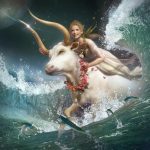 Black Moon Lillith – the asteroid in charge of re-empowering herself – ends her nine month trek through the sign of Capricorn on August 6th. 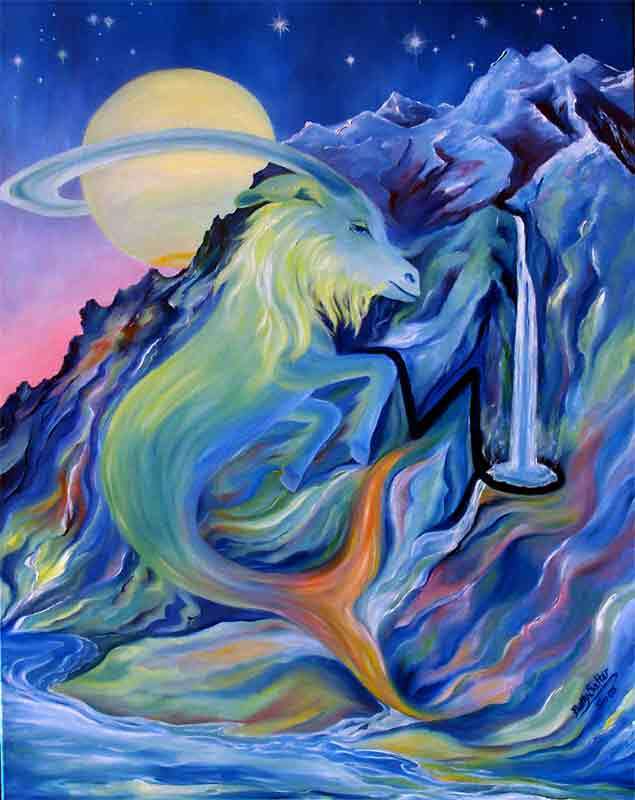 During her “Capricorn” phase accepting reality and responding effectively was the challenge. Cold, calculating, effective, and somewhat risky actions and responses were required. Realistic commitments, timetables, and a more disciplined, business-like, approach was favored. The bottom line was an attempt to gain mastery over fear for the purpose of diminishing our need to control relationships, others, and basically everything. Through that process we attempt to regain our power. 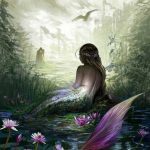 Black Moon’s move into the sign of Aquarius on Aug 6th signals a time when the most important question we can answer for ourselves is “what do I want to do with the power I have?” If we have no clear answer the danger is that we will use our power to overwhelm others emotionally and intellectually – just because we can. The implication is that we need to aim higher. 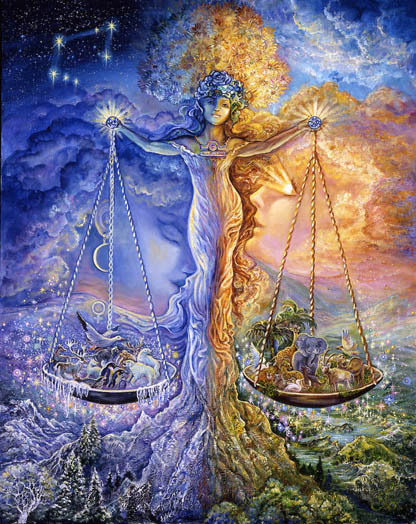 On Aug. 6th Venus moves from the sign of Virgo into the sign of Libra. It’s easier then to achieve some measure of balance within the realm of relationships. Peace at any price is a “Libran pitfall.” Avoiding conflict sinks you deeper into the abysss. Conflicts may need to be addressed. Venus ensures a better than average chance that justice and fairness will prevail. Love, art, beauty, refinement, and the ability to smooth ruffled feathers is Libra’s strength. 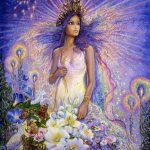 You may be able to play a more “beautiful” role within the realm of relationships. Attracting what you love could be easier. 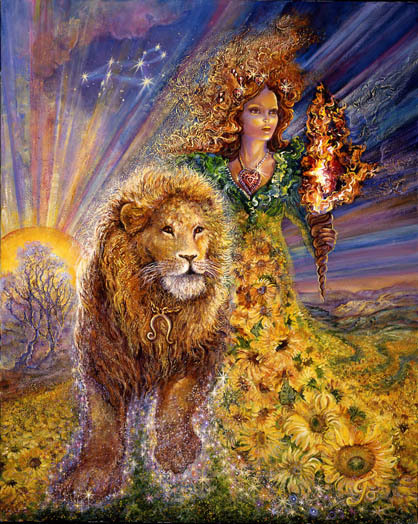 Mercury remains in retrograde motion until August 18th when it stations direct in the sign of Leo. In the meantime we’re reconsidering what makes life joyful, what makes love work, issues involving children, the power of playfulness, and how we can be more in love with our life. Technology is tired and it’s taking some breaks. Our brain is tired and it’s in need of a few breaks as well. And then there’s the partial solar eclipse occurring on August 11th. I’ll have more to say about that in the next few days. 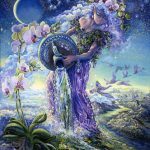 The upcoming eclipse is a partial one so it’s impact may be less than the recent Aquarian total Lunar eclipse of July 27th – depending, of course, on the specific contacts it makes with your birth chart. 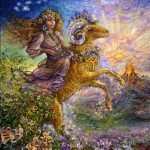 The Aquarian eclipse of July 27th is still hot-wired and exerting a powerful influence over our emotions and the actions we’re taking, not taking, or re-considering. 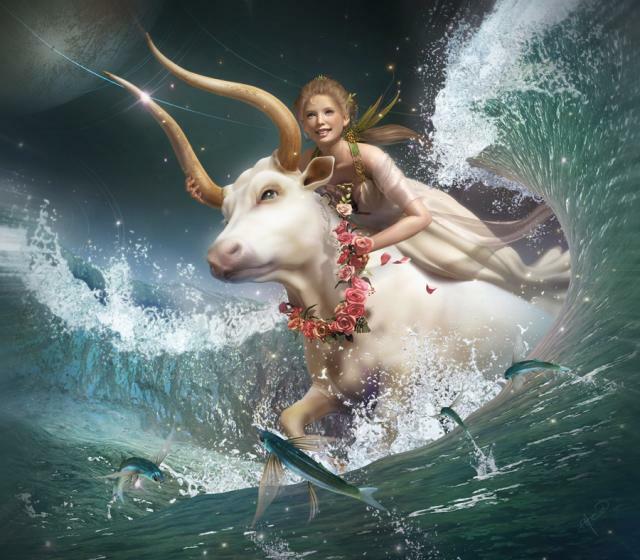 The ongoing “Mars square Uranus” process represents a struggle for financial freedom. Conflict may be ongoing. It’s you against the group. Corruption or something dark may be involved in joint financial entanglements. 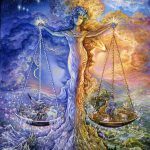 But justice and fairness may prevail as a result of the work you have done and Venus’s move into Libra A more equitable agreement can be reached. Venus’s move into the sign of Libra in your 7th house may allow you to bring a conflict into balance or to reach a point of compromise. On a different note this is a coming out phase for you – a move into a more highly visible, social, or extroverted phase. A completion is implied – the completion of a phase of inner development that has landed you in a place where you’re feeling more complete or purified Your ability to operate in relationships without losing yourself or compromising your principles reaches a higher level. It seems you know who you are. Your influence begins to expand as you reassess what you want, the kind of lover. and the kind of life, that makes you happy. 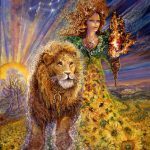 Your third solar house – the Gemini house – is loaded with Leo placements and those are opposed by Mars in your 9th house of freedom and the future. The future of love is conflicted and may have been destabilized. Something normally outside your realm of awareness has surfaced, maybe in an explosive way, and it changes the game. 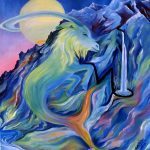 Now, as Mercury retrogrades in your 3rd house, it’s the perfect time to reconsider where you might want to go from here. You may be backtracking, remembering, sifting through the past. Love, children, joy, creative freedom , and something about the nature of your routine and mindset may be up for review. Taking back your power over the nature of your future and your vision seems necessary. Beliefs may be ripe for change. Reconciling the “facts on the ground” with current beliefs may require some updating. Mercury moves direct on August 18th. It seems things might be clearer then. By September 18th the coast is clear and it may feel safe to act on some new conclusions. 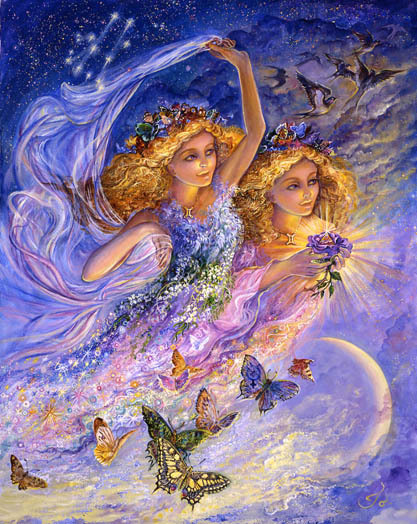 Venus is trining Gemini through Sep.9th. You may project an air of love, refinement, cooperation, and generosity that invites peace. 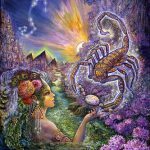 Cancer’s still hot-wired from the total Lunar Aquarian eclipse of July 27th as she begins to feel the impact of the upcoming Leo Eclipse. There’s a lot going on above and below the surface of your being. Issues of survival come into play. 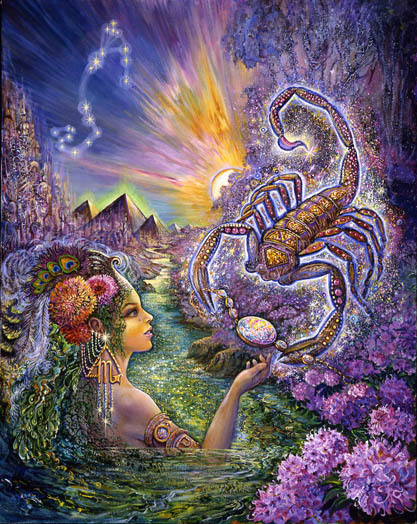 Mercury retrogrades in your 2nd house. Issues of self worth may be up for review. Income, joint financial agreements, and the nature and worth of your contribution may be highlighted. Conflicts over money may surface. More freedom may be required. But now is a time when you may discover a new talent. Or you may be given the opportunity to developed a talent that has lain dormant for awhile. A complicated truth or old belief may challenge a long term commitment. 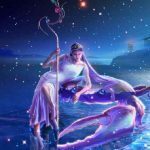 A old love from the past could make an appearance as Venus moves into your 4th house of the past. Maybe it’s a family member you’ve lost contact with. There’s an opportunity to make peace within family structures. There’s an opportunity to make peace with the past. Since the north node moved into the sign of Leo in May of 2017 your life may have kicked into high gear. 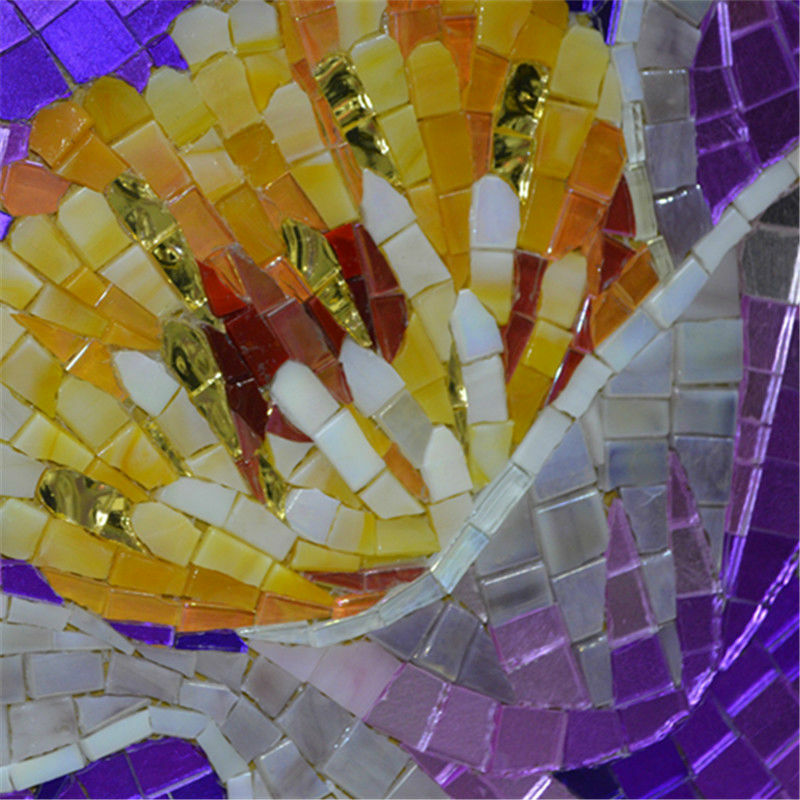 It’s been on fire so to speak – lots to do, lots to arrange, lots of opportunity, lots consider, lots of socializing. That remains the case until November 1st when a conclusion is reached. A life direction is agreed upon. Things settle down. You may know where your headed and feel more confident making decisions and agreements for the long term. Marriage and commitment may settle into something less unsettled. But for now the pace remains accelerated. An important decision or agreement may have been delayed. Things may be “up in the air.” An ongoing feud may need to be settled. You may be reviewing your style and approach to the world, to a partnership, and to the role you generally agree to play. Your lifestyle, how it stokes or dilutes your passion and your devotion is a consideration. Something bigger, more adventurous, foreign, and fun, may need to be considered. You have had the opportunity to relax for the past month, to take time off, or to get away for awhile. But the July 27th Aquarian eclipse may have made that difficult. Even if you were able to relax you may have found yourself ruminating over your shortfalls, what more needs to be done, skills that need to be improved, things that need to be integrated, and a relationship in need of attention. Your 12th house of compassionate endings, inspiration, dissolution, and confinement is highly activated. There’s lots of reconsideration going on beneath the surface of your being through August 18th. You’re mulling things over on your way to finding solutions that are right for you. The nature of your work and your responsibilities may be in conflict with your vision for the future. Something freer, more creative, expansive, and foreign may be required. The coast is cleared by Sept 18th. Things may then begin to fall into place in a way that’s more aligned with what you love and what you desire. Personal and social involvements, trends, politics, and money matters will be highlighted and maybe ignited through December. Currently you may be feeling the need to end an old relationship, or a sexual or financial arrangement possibly. It may be losing steam. You may be have doubts about your competence or ability to stand on your own two feet. But a new beginning is on the horizon On August 6th things get easier. A compassionate disengagement is possible. Your better able to attract what it is you desire. Money is certainly part of this picture. You may have just been through a confrontation with the truth, what you believe (your beliefs) and how those keep you separated from what you love. It’s time to take your power back. You need it to create the kind of life you’ll love and to feel confident about infusing into the world your most unique ideas. It’s time to be more discriminating about the groups you associate with. It’s time to be especially receptive to the small voice within as you navigate something tricky. Relationships and the past may be at odds. Uranus is unsettling relationships and old foundations through September 18th. There is an indication that you need to be free of the past. There is a conflict. It’s not easy to resolve but necessary. Scorpio along with Taurus, Aquarius, and Leo have a hard time with change for different reasons. Scorpio wants to hold onto what they’re attached to. They may view it as a source of their power. Or they may be overpowered by it. Black Moon Lillith will be moving into your 4th house of home, family, roots, and the past on August 6th. For the next nine months letting go of the old stuff – old partners mainly – will be essential. As you do that your creative power will increase and be increasingly demanding of an outlet. A professional outlet is the most likely way to channel your brilliance. 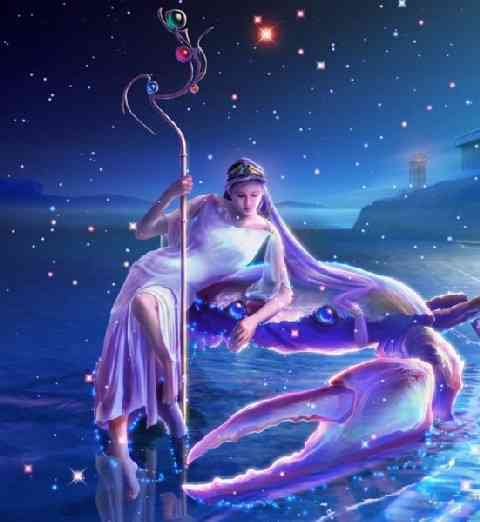 Mercury is transiting your 10th house of your career. You may be mulling over different ideas, thinking about the connections you need to make, the advantages you’ve inherited, and most of all a life direction that would ignite your passion. Your 9th house is on fire. This is the house of optimism, enthusiasm, adventure, expansiveness, and philosophically enlightening ideas. Your beliefs about your future are highlighted. What means the most to you may need to be clarified. 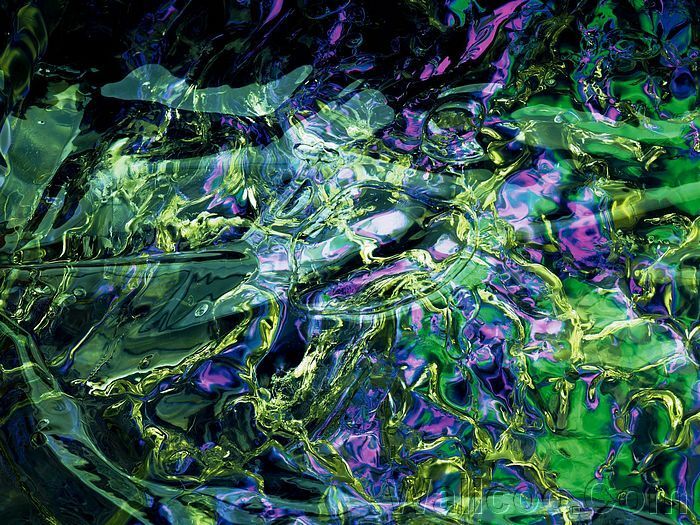 Something may be revealed to you through dreams, during altered states of consciousness, or in a hyper-focused state. Things are bette than they seem. You’re further along than you think. 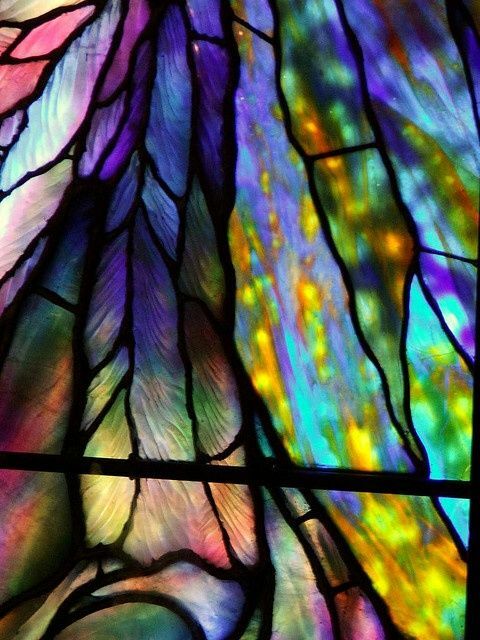 A world that exists within the realm of your subconscious mind is shifting and clearing in a way that advantages you. Something previously confined is opening up. This broadens your possibilities within the world of work. – maybe within the realm of writing or speaking specifically. You may need to learn more about upgrading your technology or platform so that your enlightened messages can be heard by those who need to hear them. And you may need to experiment with different work methods and a different focus or emphasis – one that ignites your passion. Something is clarified in October. Moving into a future you love is a possibility by November. Black Moon Lillith – the asteroid in charge of re-empowering herself – ends her nine month trek through the sign of Capricorn on August 6th. 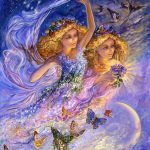 At some point over the past none months there has been a challenge to let go of the past – a powerful challenge to a tendency to continue to allow the past to control your life and maybe your relationships. If all has gone well you may have let go of something confining – or be very close to doing so. This is fortunate. It’s an indication that over the next 9 months you are free to accumulate wealth as a result of an agreement or partnership. It will be a source of power that requires an answer to the question “what do I want to do with the financial power that I have.” The temptation is to fall into the trap of controlling others with your financial power. That may be more treacherous than it seems. Capricorns are innately good at money management. They’re innately bad at creating a life where that talent can be used to enhance the joy of life. You’ll be figuring this out over the next nine months. 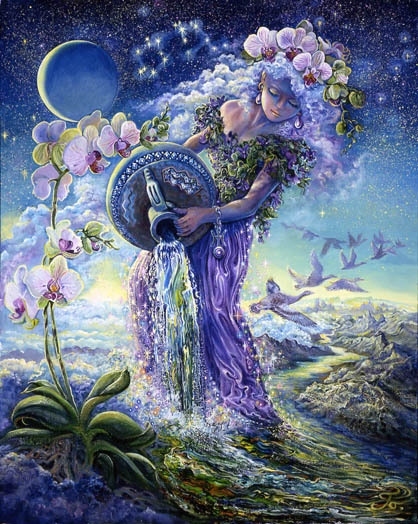 This is an exciting time for Aquarius. Dealing better than most with the chaos and the freedom it implies, you may be navigating the unsettling stuff with relative ease. Chaos creates opportunity. But the delays and lack of self-confidence is hard to tolerate. There is a sense of being diminished or disempowered in some way as you wait to step into a freer, more independent role. Your 7th house of relationships is on fire. Your partner may be on fire in some regard. You may feel that you pale in comparison. Where do you stand in relation to your dependence on partners. How can you set yourself free to be more independent to pursue what you want to pursue. How can you create more space within the realm of relationships. How can you stop using your partner as an excuse for stopping short of what you’re capable of. These are things you mull over until August 18th. Then there will be some clarification. In the meantime you may be gaining mastery over your fears. Your progress is invisible and not measurable so it’s easy to underestimate. Don’t do that. There’s a lot going on beneath the surface – mini-explosions, temper tantrums, breakthroughs, frustration, fear, and an ongoing effort to set your soul free. The good news is because there is so much noise and activity in the deepest recesses of your mind and heart, it’s easier to tune in. There is something undermining that needs to unravel. It may be your discomfort with all the ways you’re different from the “average bear” – with how your soul refuses to conform to a life that reflects normalcy, and can wildly rebel against being confined or neglected. Poor health or trouble within your work environment would reflect that discomfort. More than any other sign your success in the workplace depends on input from your soul. Within the work realm you need to be free to follow your instincts. An inflexible mindset is being pried open by Uranus. It may be painful but you could make it less so by considering new and different options. Activist art, being a behind the scenes agitator and enlightener, research, investigative interests, or being a voice for the voiceless could open some doors. The whole process for you is a strain on your nervous system. But it seems you’re moving in the direction of some unprecedented inner peace.